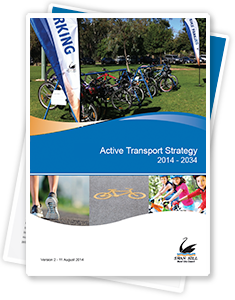 Active transport relates to physical activity undertaken as a means of transport. It includes travel by foot, bicycle and other non-motorised vehicles. Use of public transport is also included in the definition as it often involves some walking or cycling to pick-up and from drop-off points.